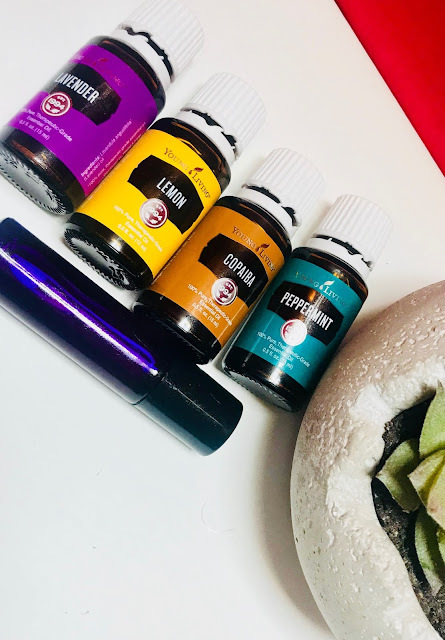 As mentioned in my recent posts, I will be sharing about my journey of using Essential Oils to balance my physical and emotional well-being. I never really took seriously the effects that petrochemicals in our environment and chemicals in foods, household cleaners etc. could have on our health, until recently when I discovered that those chemicals could shorten our life span. I really had to start thinking about the seriousness of detoxifying my life and my family's. The light bulb is now on and I am really careful about what I use in our bodies from food to household products. Did you know the skin is the largest organ in the body and can absorb the highest amount of toxins than any other organ in your body?. Think about how many products we come into contact with everyday from beauty products that are chemical-laden to cleaning products? These things are full of chemicals that have been slowly seeping into our bodies to cause in-balances in our systems. Have you experienced a deterioration in your ability to focus or energy levels, despite "living a healthy life" and exercising? Chemicals are not meant for our natural bodies!! This is why God blessed us with essential oils from nature. They are the missing link in modern science. They are concentrated aromatic liquids extracted from plants, shrubs, trees, flowers and seeds. Plants depend on essential oils to grow and adapt to their surroundings .Essential Oils also play an important role in defending against insects, diseases and harsh environmental conditions. Pure, unadulterated essential oils have enormous therapeutic potential and are used daily to enhance the lives of millions. Essential oils are composed of tiny molecules that can penetrate every cell, crossing the blood/brain barrier and support out body systems at the most fundamental and basic level. Did you know that essential oils are God-given gift in nature to balance our our physical and emotional well-being? However, not all essential oils actually contain these therapeutic properties. Many oils found at general health food stores contain additives or chemicals and may contain “plant juice” to some degree, but they have not been processed in a way to guarantee therapeutic constituencies that can truly support our bodies. That’s why it is important to know HOW the oil is processed and what claims can be made for using it. The brand I choose to buy is Young Living Oils. I believe these are the highest quality oils on the market. The purity of their oils is guaranteed with their seed to seal process. Please click on seed to seal to read more on their manufacturing process. To ensure that Young Living is able to control their seed to seal process, they own 8 farms on four continents and partner with other farmers around the world. Young Living executives personally travels the globe to to explore farms that offer the most favorable conditions for growing their botanicals. This type of direct involvement is what gives me a piece of mind that their products deliver purity. Please know my goal is not to sell oils! My goal is truly to share with you what we have learned and the ways we have been able to avoid medicine and added chemicals and live as organically and holistically as possible! You can check out their unmatched seed to seal process in the video below.